Usher Raymond IV is an American songwriter, dancer, and singer from Dallas. Usher initially gained recognition when he released his first self-titled album in 1994. His second album spawned his first U.S Billboard Hot 100 achievement. Usher has produced a large number of albums and songs throughout his career and he is known for being one of the best R&B singers in the 21st century. As of 2019, Usher’s net worth is roughly $180 million dollars. Usher Raymond IV was born in Dallas, Texas on the 14th of October, 1978. He is the son of Usher Raymond III and Jonetta Patton. Usher spent his childhood mostly in Chattanooga. His father left the family when Usher was 1 years old. Usher attended North Springs High School where he later pursued his career as a singer. His grandmother was the one who discovered his ability to sing. After Usher began a recording contract with LaFace Records he released his first self-titled debut album, at the age of 15. The album did well and peaked at No.25 on the Billboard Top R&B/Hip-Hop Albums, and at No.167 on the Billboard 200. Shortly after Usher graduated from high school he continued to work on his skills to release his next album. His second album ‘My Way’ was released in 1997 and included the hits such as ‘You Make Me Wanna’ and ‘Nice & Slow’. It debuted at No.15 on the Billboard 200. In 2001 Usher dropped his third album ‘8701’ which sold over 210,000 copies in its first week. The album also peaked at number four on the US Billboard 200. Usher’s fourth album was released in 2004 and also received good feedback. This time, his new album sold over 1.1 million copies in its first week. After that, came two more albums: ‘Here I Stand’ (2008) and ‘Raymond v Raymond’ (2010) which both were successful as well. His latest album ‘Daddy’s Home’ was released in 2018 and like his others became a huge hit. As of 2019, Usher’s net worth is $180 million dollars. View our larger collection of the best Usher quotes! Usher is a highly successful singer and songwriter. He has worked with some of the best artists throughout his career such as Justin Bieber, Ludacris, and Lil Jon. There’s no doubt that Usher’s music career will continue to be successful. He already has an incredible net worth; as of 2019, Usher’s net worth is $180 million dollars. 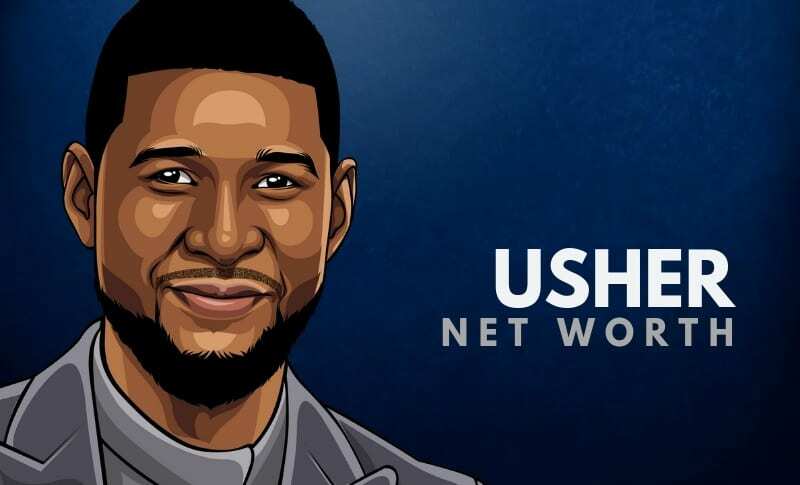 What do you think about Usher’s net worth? Leave a comment below.